Charming Country Home on 8.65 Acres! 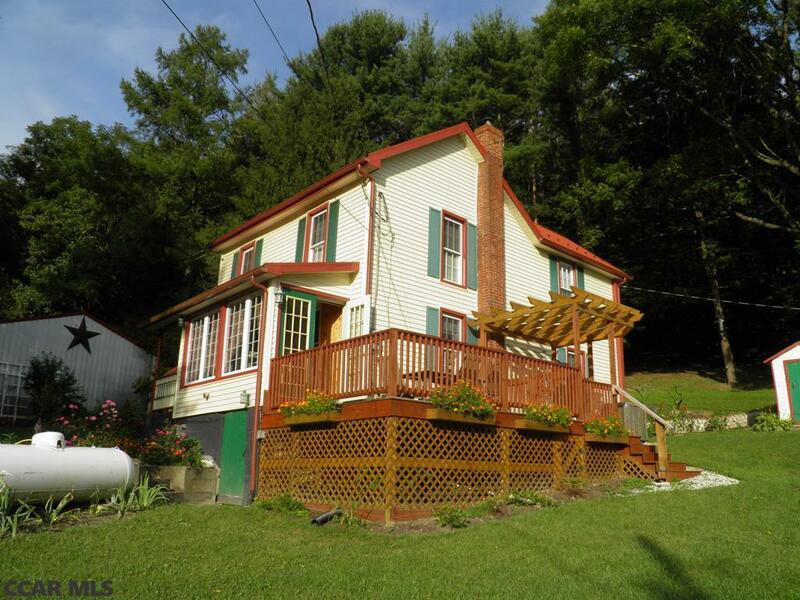 Private location w/views of mountain, fenced pasture & Woods! Updated 1835 3 bed home w/newer heating systems, new floors, 1st floor laundry, open floor plan for Kitchen & living room, 4 seasons room leading out to oversized back deck overlooking above ground pool w/new deck, flagstone roofed patio on back of home, patio off of master bedroom, propane, wood & elec heat. Outbuildings have elec & include updated 2 story barn w/3 horse stalls & workshop, summer kitchen, smoke house, chicken coop, work shop w/wood stove, 1 car garage, oversized 3 stall garage, 40x 32 pole barn, fenced pasture, 2 wells, spring, pond and stream running through property. Property is gated with security, has multiple apple trees, and laid out for a family to enjoy outdoor entertaining! Pole barn = 36x32; Barn = 32x32; 1 car garage = 12x12; Summer Kitchen = 12x10; Chicken Coop = 5x24; Heated Workshop = 21x21; Smoke house = 8x7. All outbuildings have elec except pole barn.